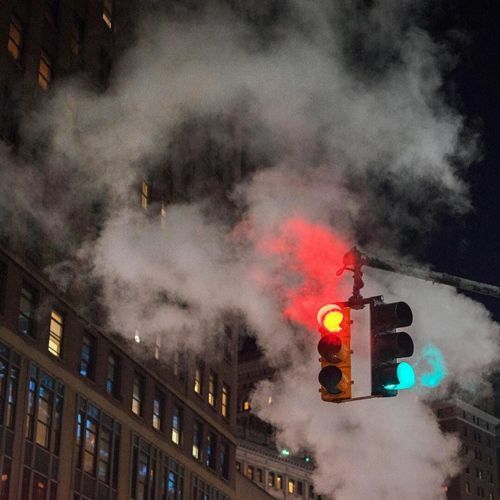 "A traffic light beamed through steam coming from below the ground in Midtown Manhattan. "At night," writes @nikokoppel, "Midtown is largely still besides speeding cabs and garbage trucks collecting trash." For the past few months, @nikokoppel, a @nytimes photo editor, has been exploring New York City after hours. The name of his series, #BreakingNight, comes from an expression that means to stay up all night without sleep. We're sharing photos from the series for #nytweekender." By nytimes on Instagram.